Those of you who follow me on Instagram know I’m all about a healthy lifestyle these days. There comes a time in everyone’s life when you feel like you’re just not making the most of yourself. What happened to me was a very classic tale: the combination of seated college classes, bingewatching and chill had led the scale to point out my highest weight yet. I wasn’t overweight or dangerously unhealthy – yet – but I felt sluggish, tired and insecure pretty much all the time. For years I heard the same thing over and over: If you want to lose weight you have to follow a restrictive diet. The more boring and bland, the better it’ll work. Up until now I still have to meet a single person for whom that has actually worked out. But my health epiphany came at exactly the right time. 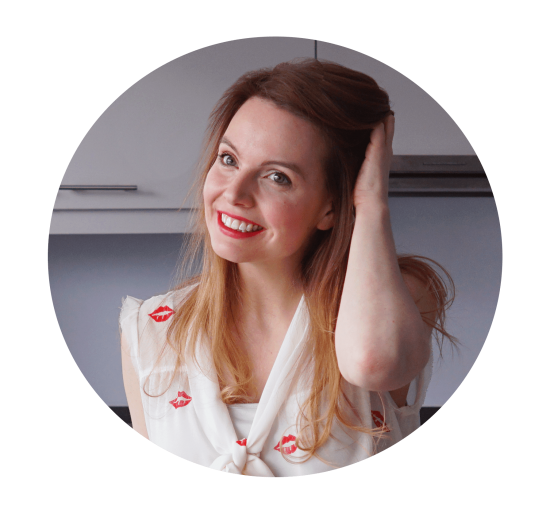 The number of food bloggers that had been preaching clean eating were rising. And fitness stars where taking over Instagram. My journey happened very gradually: First I had to detox from my sugar addiction. Then I started to follow a few workout sessions on YouTube. And now I’m back at the same weight when I started college. But honestly I don’t care. I feel better, fitter and stronger than I ever have. And honestly, I don’t know how I would have kept up with a full time job, a blog, social media and a life offline if I still had the same lifestyle from a few years ago. And it’s all down to this: a healthy combination of clean eating and excercise. Trust me, it’s still hard work. I remember those first workout sessions where my face looked a bright shade of tomato red. Other than splashing water on your face there’s really no other cure out there. Unless you spike said water with some of nature’s spices, of course. And when it’s a bright red tomato face you’re battling, chamomile is the way to go. Chamomile has a calming effect on the skin. Chamomile has anti-inflammatory properties and is known to soothe the skin and visibly reduce redness. It’s also a calming agent for irritations and allergic reactions. Perfect to calm your post workout skin! 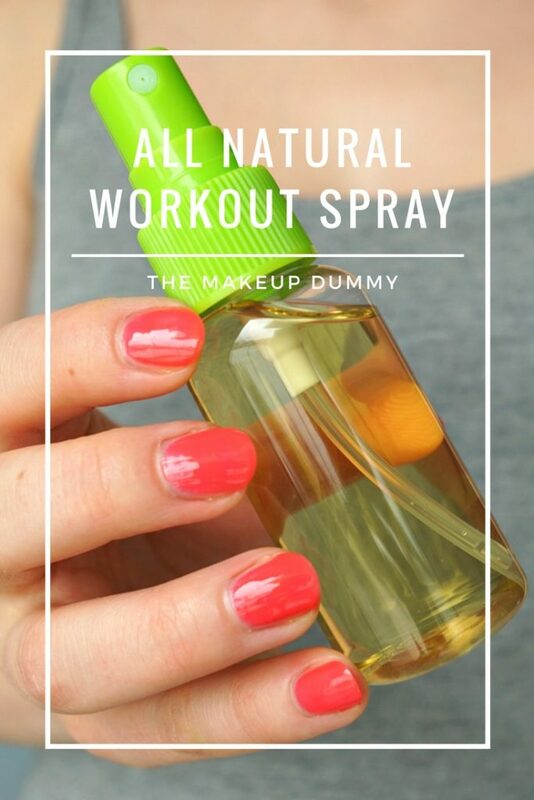 This all natural recipe for a homemade workout spray couldn’t be easier. it’s basically strong brewed chamomile tea that has cooled down. And what do you get when you combine water with chamomile? Exactly, chamomile tea! I recommend using an organic brand. You can also buy dried chamomile flowers. 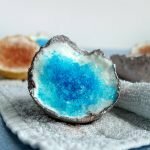 These are not only great to make tea, but also to use as decorations in homemade bath products like bath bombs or in a homemade all natural face scrub. Boil the water first. Let it cool down to the right temperature to make a cup of tea. Leave the tea bag or dried flowers in the water until the water has cooled down completely. Pour the cold chamomile tea in a spray bottle. If you want you can store the spraying bottle in the fridge until you’re in need of some extra refreshment. Whenever you’re in need of refreshment (during a workout session or maybe just on a hot summer’s day – yes it is still officially summer! ), close your eyes and spray the chamomile water liberally over your face. 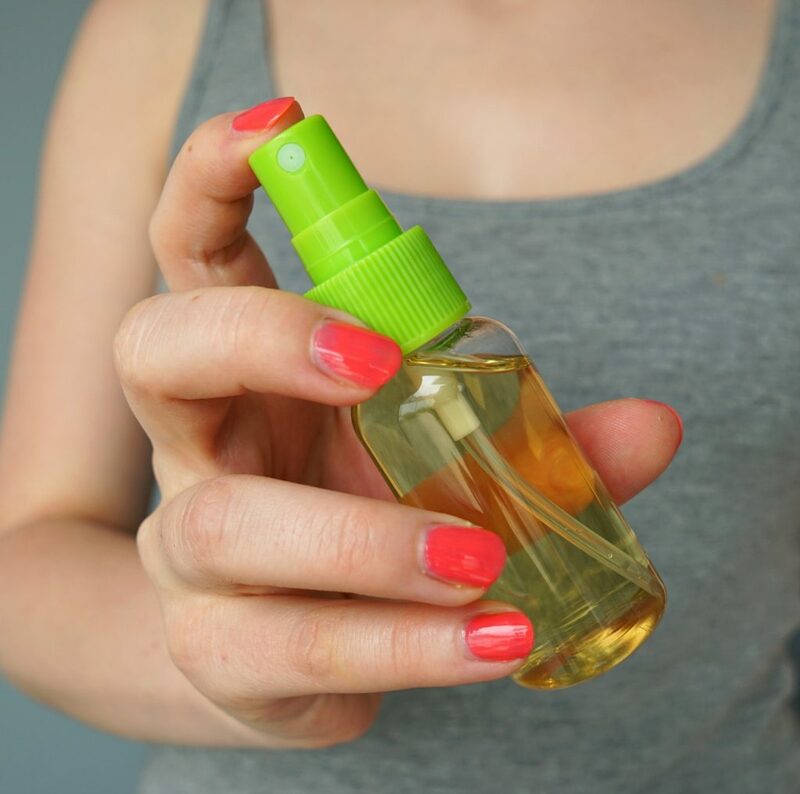 Considering the color of chamomile tea it’s probably best to use a tinted spray bottle, especially when you want to use it during a class or outdoors. Tinted or dark glass bottles or always a good choice to keep homemade products in. When you’re using a ‘fresh’ product like this spray, I recommend making a new batch before each use. 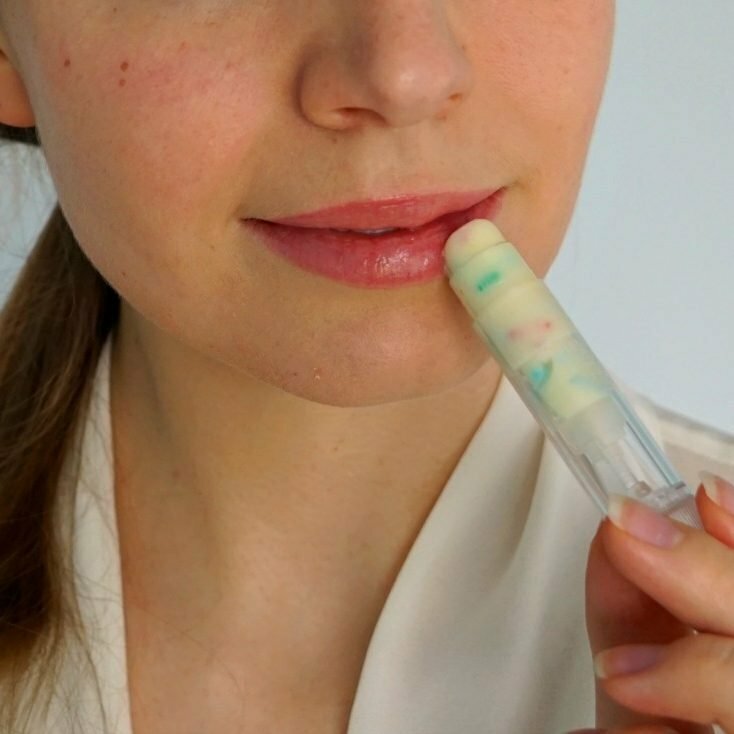 Since this DIY product uses water and has no preservatives added to it, I wouldn’t keep it any longer than the time you would consider it safe to consume (i.e. drink it). If you want to make a natural workout spray that’ll last a little longer, than you can also use organic chamomile water you can find in organic and/or health stores. I love the stuff as a skin toner, and if you can find is as pure as possible, it’s basically chamomile infused water. Pour some in a tinted spray bottle and keep it in the fridge ready for use. If stored properly, the expiration date should be the same as the one mentioned on the original package. 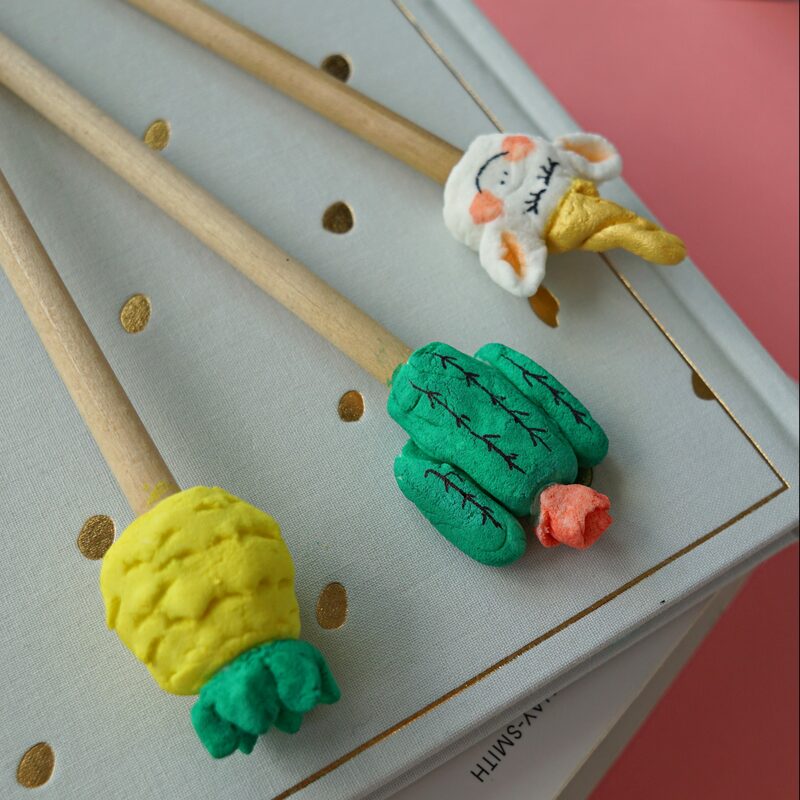 If you like this DIY then don’t forget to put a pin on it! Have you had a health epiphany moment? Tell us about it!